"The brainchild of of enterprising science and engineering students, the startup has now taken First Place in the 2018 University of California Startup Showcase sponsored by Silicon Valley-based venture capital firm Vertical Venture Partners. “We are immensely proud of Milo Sensors’ first place win at the UC Startup Showcase — topping a highly competitive selection of companies from across all 10 UC campuses,” said Tal Margalith, executive director of technology at UC Santa Barbara’s California NanoSystems Institute (CNSI), whose unique, wet-lab technology incubator is currently hosting the tech startup. 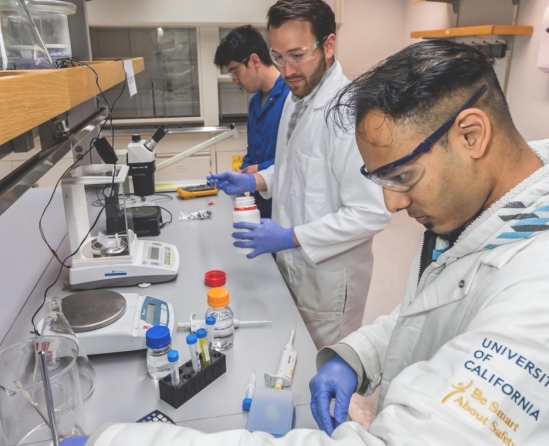 “Their award not only speaks to their strength as a team, but it also showcases how the innovation and entrepreneurship infrastructure at UC Santa Barbara helps nurture, incubate and launch successful ventures.” The company also uses shared experimental facilities at UCSB’s Material Research Laboratory, one of the top five materials research facilities in the world."